If the operating system fails, the computer is under attack of viruses, crashes or refuses to boot, comes to the aid of a boot disk. Having it at hand, you will be able to recover your system, fix errors in the registry, to administer treatment from viruses and save your important information. 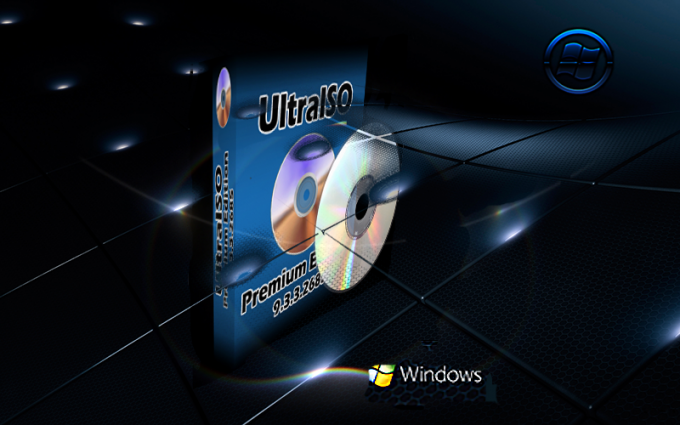 To download an image of such a disk you can on the Internet, and burn it to a DVD you can use the program UltraIso. If the application is not installed on your computer, then download the distribution kit from the official website of the manufacturer. The download takes only a few minutes. The program is paid, but until you have enough trial version that has all the necessary functions and will run for 30 days. Start the installation and follow the wizard. In the main window, click on "File" and select "Open" from the drop down menu. You will see a dialog box, in the left side where you will see all the folders on your hard drive. Select the desired folder. In the right side list will appear in the folder. Select from this list the prepared image of a bootable disk. In the bottom of the window, in the line "file Name" will appear as its title. Click on the button next to "Open". A new window will open where you will see the contents of the selected image. Here you must make sure that in the information field "Image" located in the upper part of the window is the inscription "Bootable". If there is written "No-loading", then create a bootable disk from which to run your operating system from this image will not work. To start recording, click the "Tools" button and from the appeared menu choose "Burn CD image". The same result can be obtained, and clicking the appropriate button on the "Toolbar", or simply using the hotkey F7. Dialog box opens recording settings. Specify the path to the drive, select writing speed (to avoid errors it is better to stay at minimum). In the scrolling menu write method select Disc-at-once (DAO) — all at once. Select "Check". Press "Record". Window opens "image capture" in which you will be able to monitor the recording process. At the end of the process the tray with the disc will open automatically and the screen will display a notification on the results of operations and verification of data. If everything is in order, you will see a line that reads "Test completed successfully!". Otherwise, the recording will have to be repeated using a different disc. If you want to write a boot disc image on DVD-RW, before recording, be sure to format the disc. This prevents reading old data with the new entry. If the system is installed also Nero, in order to avoid conflicts between apps in the settings of the program UltraIso, on the "Recording" tab, remove the tick from "Use NeroAPI if available". Now that the settings are already completed, you can burn the boot images and not opening the main window of the program. Simply select the image and double-click on its icon with the mouse. Open UltraIso, in which you will see ready to write the bootable image. You will only need to insert the disc and click "Burn".